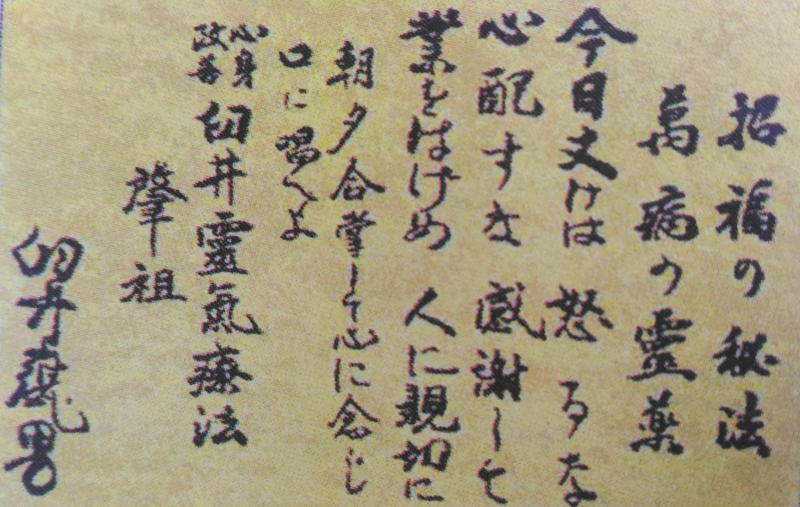 Reiki is an ancient “therapeutic” method discovered in 1922 by the Japanese master and bouddhist Mikao Usui after meditation in Kurama mountain in Kyoto. 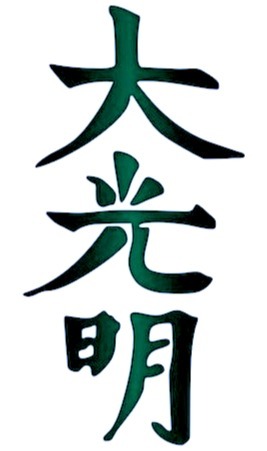 Reiki is written 霊 気 . Rei means “Spirit” and Ki “life force energy”. 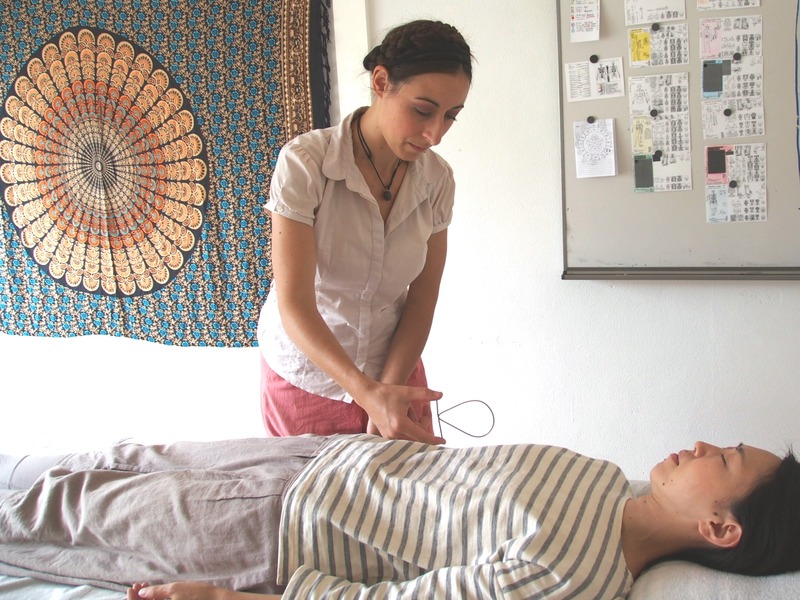 After activation of the symboles giving during the initiation, the healing treatment consist in, by putting hands with or without direct contact, to restore the energy balance of the person being “channel” of the energy. Denuded of ego and will, the practitioner remains outside the having, the power and the worth, and leaves the person free to accept or refuse the energy made available either in proximity or to distance. It’s a form of intelligent energy : it goes where your body needs it. This method strengthens and stimulates the process of self-healing and self body-balancing. 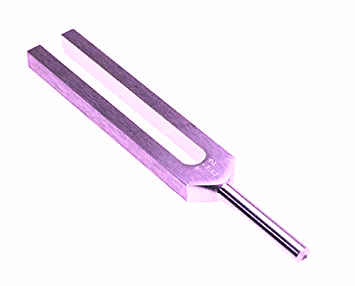 It brings general well being general, inner peace and harmony, reduces pain, increases the vibratory rate (which I measure with the antenna lobe and the Hartmann scale). It can be done in complement of any other treatment prescribed by a health professional. 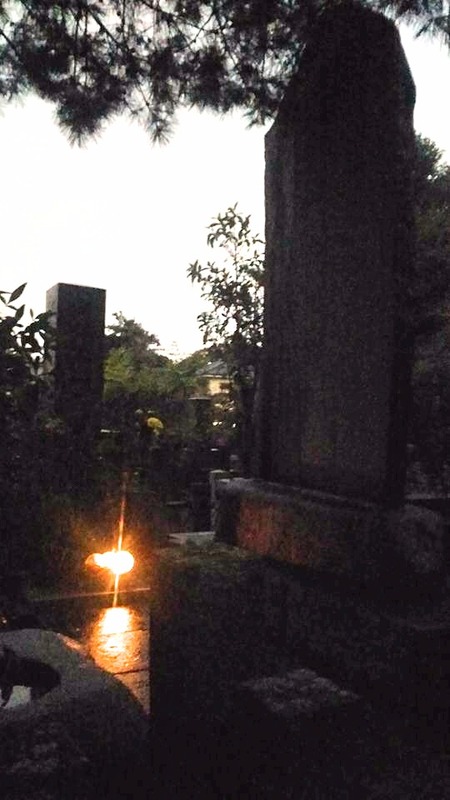 Reiki can accompany people in death by helping to release the emotions and the transition to be smooth. It is also effective during the “energy” cleaning of the habitats, in conjunction with geobiology. Your Reiki therapist can also work with you on your genealogy and cut off the “alienating bonds” and free you from the influences of your ancestors in your present life. You can also come for a remote treatment for a relative or a situation that worries you (present or future). Your therapist has been trained by Daniel Feugier in Lyon from the direct line of the master Usui and reinforce by the Tibetan système (Mikao Usui, Chugiro Hayashi, Hamayo Takata, Phyllis Lei Furumoto, Pat Jack, Cherie A. Prasuhn, William L. Rand, Patrick Hamouy, Danielle Feugier), she was initiated in geobiology by Robert Feugier, and in Reiki Karuna by François Feugier. This method is not related to any religious or spiritual dogmatic order. Just for today, I’m at peace. Just for today, I trust. Just for today, I do my job honestly. Just for today, I accept the many graces. Just for today, I respect the right of all forms of life. For a long session, we take the time of an interview so that you introduce your therapist the reason foryour coming and your overall situation in your life, all in a framework of softness, respect and listening. I measure your energy rate (geobiology). If your problem concerns a situation or a person, we start by doing an energetic work on the subject. Then, according to the subject, you will receive a short treatment (which can be done sitting) or a long care (lying down). You lie down comfortably on the treatment table, and enjoy this soft energy sent by direct or indirect hands apposition according to your choice, and perhaps you will fall asleep, or travel on other sphere … Everything is right ! Generally, we do both sides, but if you fall asleep deeply I can continue as you are : the energy is smart and you will receive the full care anyway. 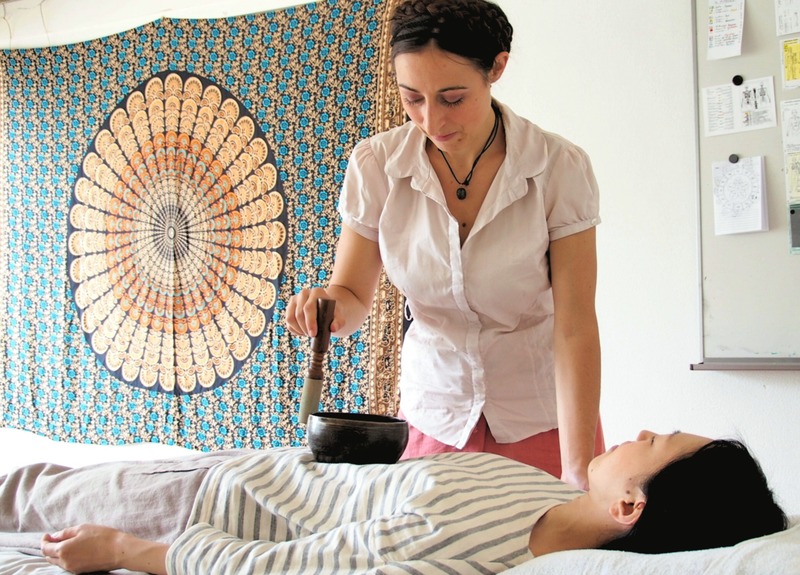 It is likely that your therapist uses sounds during the session such as tuning forks, Tibetan bowls, crystal bowl, according to the calls of your body. Then, your energy rate is measured to level, before you leave lighter, more luminous and rested. During long sessions, I propose you if you want to draw a card from a game created in channeling by a Reiki therapist, which was relayed to me by my Reiki teachers. Stress, physical discomfort or pains, stress, mourning, problem with a person or a situation (pastpresent or to come), problem of what is said of “paranormal” order, or simply self care, recover inner peace and confidence. A healing of the physical body is not a definitive cure if the consultant does not feel the desire to heal, does not change his attitudes, his way of thinking, his way of life. It is accompanied by an energy exchange. Reiki energy (sit or lie down) on a quick reiki treatment and chakra balancing. 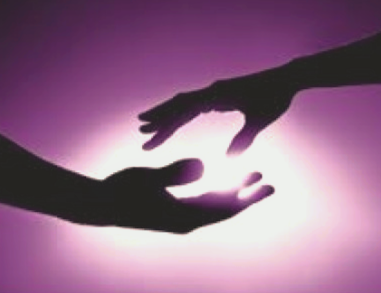 Reiki energy with touch and soft massage and acupressure points. Lie down comfortably and enjoy two different types of vibrations / energies: reiki and sound vibrations. A very deep cleansing of your body and your soul. Training in Reiki Usui and Tibetan : level 1, 2, 3, master.